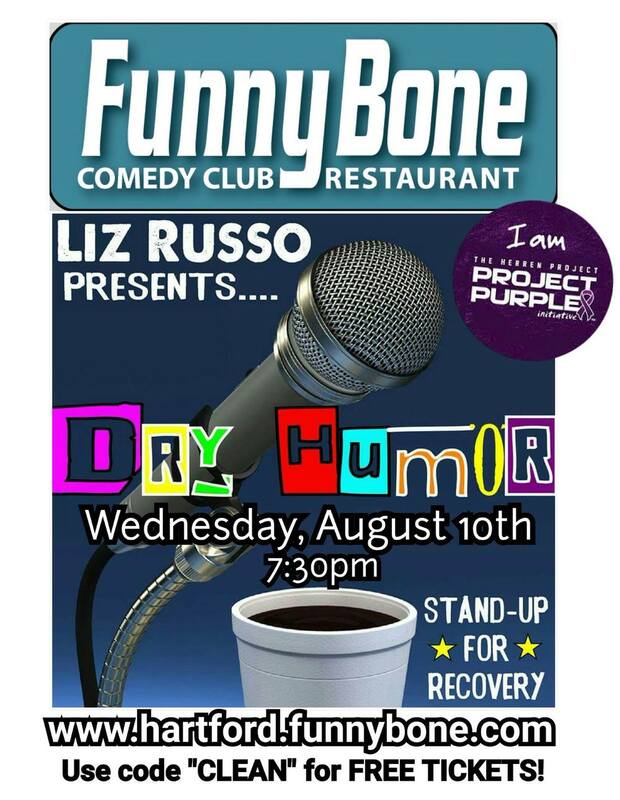 This one goes to 11--#11 on the Re(Pro) list, that is ;) Ms. Liz Russo, comedienne, sassy vixen of standup clubs, and in recovery, natch. One day I'll catch her live show, but until then, I'm happy to be social media BFFs. An upper-middle class, white, college-educated girl with a loving family background becomes an alcoholic in her adulthood. It surprises many. Unfortunately, the stigma attached to addicts hinders those who suffer from addiction to get help. I was guilty of this, too. I said, “That’s not me. I don’t have a problem. I don’t need help.” Until I realized it was me, I do have a problem, and I definitely needed help. With support and treatment, I was able to stop drinking and reclaim my life. I was a goody-goody and didn’t drink in high school, was top of my class in academics, was the school musical lead, president of choir and captain of debate, and I was even an active member of Students Against Destructive Decisions, which would later prove ironic. I was a good kid, but the disease lurked. No matter how prudish I was most of my life, alcohol would render me powerless and my life unmanageable. It’s not that I wasn’t a good person anymore, it’s that I was a sick person and needed help. How did this happen? To ME? Donuts were my gateway drug. Sounds silly, but in retrospect I realized that I used food much the same way I used alcohol. I went to a weight-loss summer camp for much of my childhood—or as I call it, donut rehab. I was always on a diet to lose weight and struggled with no long-term success. I decided to get gastric bypass. Afterward, I could no longer use food the same way. A year after surgery, I started to drink. I self-medicated with food and alcohol. What started as a temporary solution to anesthetize myself from the discomfort of coping with life became the problem itself. You can’t be arrested for overindulging on junk food, but alcohol proved more dangerous. I was an overweight non-drinker and after losing more than 100 pounds, I morphed into a skinny social weekend drinker. As my drinking escalated, so did my weight gain. Within a year, I was arrested for two DUIs. The judge ordered a five-year sentence, serving one year in Northampton County Prison. I celebrated my 30th birthday in jail. Shocking, scary, and devastating, but not enough to keep me sober. I don’t recommend the jail diet, but I reclaimed my weight loss and got sober during my stay. When released, my sobriety was short-lived, despite potential consequences. I started drinking and gained the weight back (again!). My addiction had progressed far beyond where I had left it years before. Soon enough, I added a public drunkenness charge to my arrests while on parole. Authorities gave me a choice of penalty: rehab or jail. They couldn’t incarcerate the addiction out of me, so I picked the option I hadn’t tried yet. I drove myself drunk to the Livengrin Foundation for Addiction Recovery in Bensalem, Pa. with a six pack in my trunk, just in case it didn’t work out. Addiction is insanity. I hit bottom when I decided to just stop digging. I surrendered my shovel January 16, 2011 during my time at Livengrin. Through continued recovery, I remain healthy and sober. I also gave up donuts and all gluten, dairy, soy and eggs, and have changed my relationship with food using the tools I learned in recovery from alcoholism. I now eat healthy, exercise, nourish my body, mind and soul — and have lost more than 100 pounds. The lessons learned in recovery can benefit everyone, not just an addict. There are many pathways, but the journey starts with hope. Someone gave me that gift. I want to give hope to those suffering from addiction by sharing my story. We are not that different. You are not alone. More than 23 million Americans are in recovery from addiction. I am one.